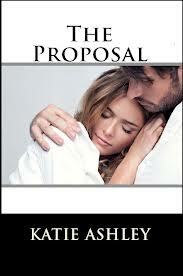 After finishing The Proposition, I would not wait to dive into The Proposal. I absolutely LOVED this book along with The Proposition. I don't agree with what Aiden did and by no means I am condoning what he did, but people make mistakes. Even the people we LOVE, make mistakes; it is up to us to decide whether we can forgive the person we love and learn to trust them again. Aiden has the fight of his life on his hands to earn Emma's trust back, and it will not be easy. There was no doubt in my mind that Aiden was not in love with Emma, he was just scared of losing himself to the love that he had for Emma. The fate of their relationship rest in the hands of Emma. Throughout the book, my heart broke for Emma. I was standing on the sidelines routing for Aiden and Emma throughout the entire book. I loved how the book ended, and I look forward to reading the 3rd book !!! I would definitely recommend these books to anyone who is looking for a great romance series !! !